This package contains an assortment of Ephemera Die-Cuts to embellish and accent your Craft Projects. 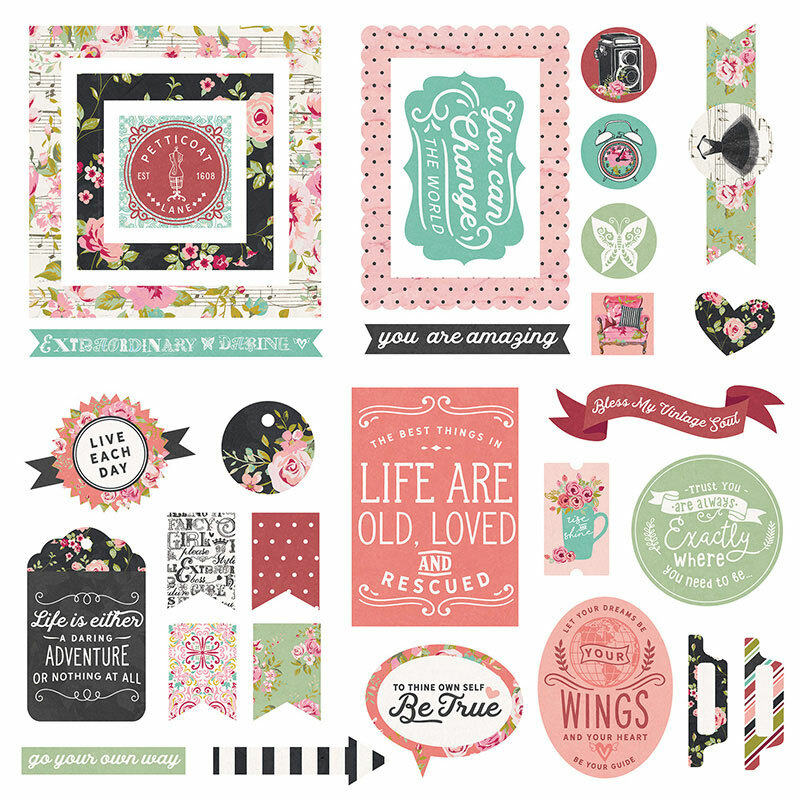 Look for coordinating Photopolymer Stamps, Decorative Dies, Element Stickers and Designer Papers. Part of the Vintage Girl Collection by PhotoPlay Paper.